"Author analogizes pipeline explosion in latest book"
Thursday, Jan. 12, 2017, 5:30 p.m. The event that sparks this semi-autobiographical novel is a gas pipeline explosion. Reading the book, CD reveals the dangers of pipelines and the human consequences of their frequent failures. The reading will be followed by a Q&A and discussion about CD's personal experience with pipelines, the recent victories for pipeline opposition (Dakota Access, Bluegrass Pipeline) and why the fight must continue. Free and open to the public. Saturday, Aug. 6, 2016, 7:00 p.m.
Wednesday June 15, 2016, 6:30 p.m.
reading from her new novel Afterheat. EVENT FREE AND OPEN TO THE PUBLIC — photo by Babette Meyers. Sunday, May 8, 2016, 9:30 p.m.
Tuesday April 26, 2016, 5:00 p.m.
TV appearance: "Poet to Poet/Writer to Writer"
CD will be interviewed by host Doug Holder. Watch a video of the interview. Saturday, April 9, 2016, 3:30 p.m.
CD will read accompanied by music as part of the segment featuring five established poets. Friday, Jan. 7, 2016, 6:30 p.m.
CD will read from her novel, Afterheat. Wednesday, Nov. 4, 2015, 7:00 p.m.
Wild Writers presents the Canadian launch of C.D. 's novel Afterheat. October 15, 2015, 5:00 p.m.
An afternoon of readings by CD Collins, Diane Fraser, and Kate Wallace Rogers. Saturday, Aug. 22, 2015, 7:00 p.m.
CD will read from her new novel, Afterheat. 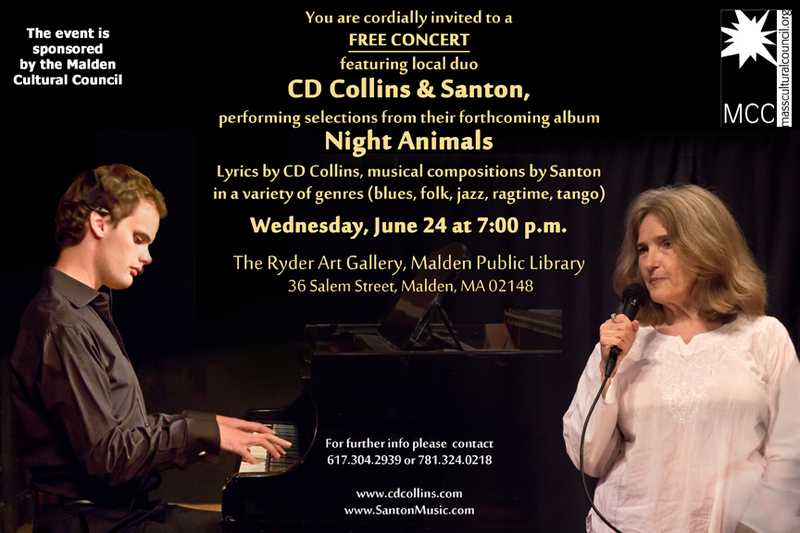 Wednesday, June 24, 2015, 7:00 p.m.
CD and Santon perform selections — poetry, songs, and stories set to music — from their upcoming album Night Animals. For more information, call (617) 304-2939 or (781) 324-0218. Saturday, June 13, 2015, 1:15 p.m.
CD and Santon will present a performance of spoken word and music in three parts. 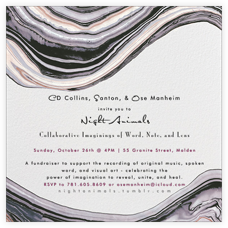 Tuesday, June 9, 2015, 6:45 p.m.
Friday, May 1, 2015, 7:00 p.m.
Sunday, Oct. 26, 2014, 4:00 p.m.
CD, Santon, and Ose Manheim invite you to a fundraiser to support the recording of original music, spoken word, and visual art — celebrating the power of imagination to reveal, unite, and heal. RSVP to (781) 605-8609 or osemanheim@icloud.com. More information on the collaboration at nightanimals.tumblr.com. 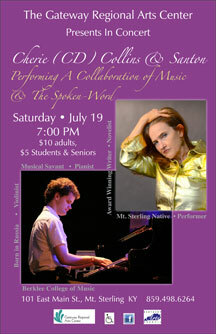 Saturday, July 19, 2014, 7:00 p.m.
CD and musician Santon in a live performance of music and spoken word. Saturday, May 17, 2014, 2:00 p.m.
CD and musician Santon perform live on Malden (Massachusetts) Access Television as part of the Open House Showcase. Comcast Channel 3 and Verizon 28 in Malden. CD reads at the Boston National Poetry Month Festival. 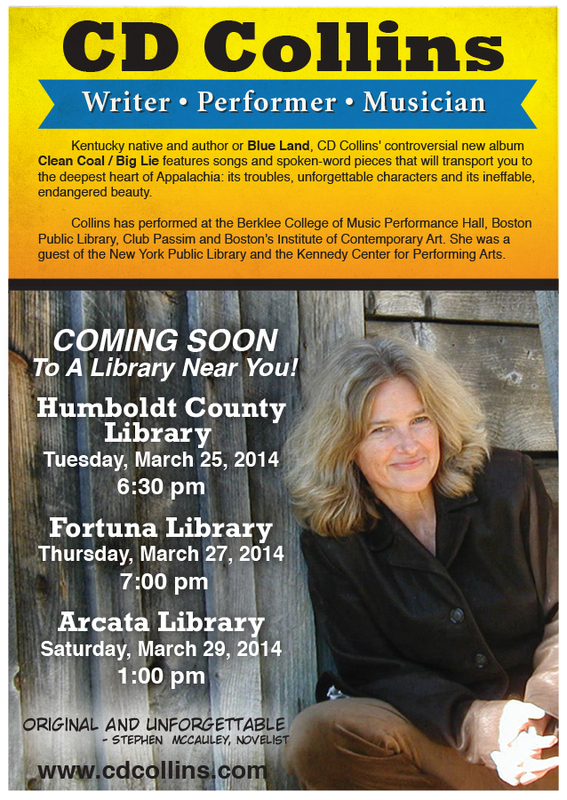 Saturday, March 29, 2014, 1:00 p.m.
Thursday, March 27, 2014, 7:00 p.m.
CD is the featured performer. 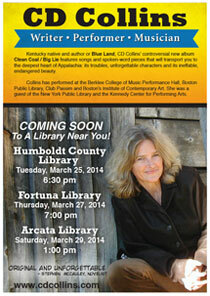 Wednesday, March 26, 2014, 7:00 p.m.
Tuesday, March 25, 2014, 6:30 p.m.
Sunday, Feb. 9, 2014, 12:45 p.m.
CD will read along with Barry Hellman. Doors open 11:30 a.m. There will be music starting at noon. The poetry begins at 12:45 p.m. Free admission and refreshments. Tuesday, Nov. 26, 2013, 7:00-9:30 p.m.
CD is the featured storyteller at this event, where seasoned speakers and newcomers alike are welcome to tell their tales. $5.00 requested donation. For more information, visit storyspace.org. Download the flyer (230K PDF). Friday, Oct. 11, 2013, 3:00-5:00 p.m.
CD will perform a spoken-word piece with the Brass Messengers and dancers from the Dance Complex. Also featured will be Lo Gallucio, Poet Populist of Cambridge. Friday, Oct. 4, 2013, 7:00 p.m.
Friday, Sept. 13, 2013, 6:00-8:00 p.m.
CD will read at this opening reception for the Irving Street Studios Exhibit. The exhibit is open to the public though Oct. 4, 2013. It can be seen at the Commerce Place Building during open hours: Monday-Friday 8:00 a.m. to 6:00 p.m. Saturday 8:00 a.m. to 12:00 noon. Thursday, Sept. 12, 2013, 7:00 p.m. In collaboration with the Carl and Ruth Shapiro National Center for Accessible Media at WGBH and the Smithsonian Institution, the Center will present Tech@LEAD. Tech@LEAD is a pilot event that will bring together diverse experts and practitioners from a variety of fields, including the arts, education, design, exhibition, media, electronic and information technology, online experiences and mobile and portable device development and manufacture — all to advance the development and application of innovative technologies that support the inclusion of people with disabilities in the cultural life of our world. Tech@LEAD is a by-invitation-only event. 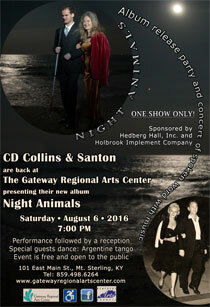 More information at the Kennedy Center website.